Comments Off on What Is an Apostolic Nuncio? Bureaucracy is a notion currently held in little esteem. In the first quarter of the last century, however, Max Weber, a critic of economic and social organization, published a thesis in which he argued that bureaucracy — if managed efficiently — provides the ideal model for a business or other organization. Over history, he argued, one such “ideal bureaucracy” has been the Roman Church. 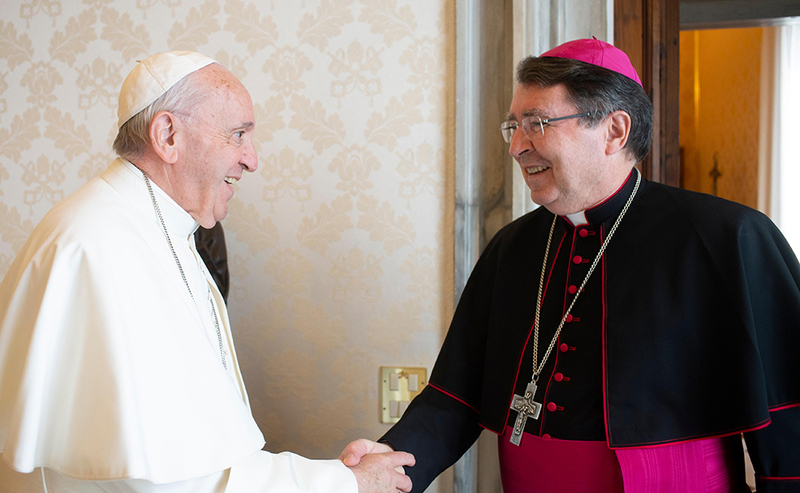 A nuncio is often referred to as an “ambassador,” representing the interests of the Church in a foreign country’s highest assembly — for example, the United Nations. A nuncio enjoying voting rights is titled “delegate,” otherwise he is an “observer.” The nuncio’s chief task is to strengthen bonds between the Holy See and any local church (see Code of Canon Law 364).